I inadvertently did some mushroom hunting while in Oregon on a fire assignment. By inadvertently I mean that I did not literally go hunting for mushrooms the way that permitted mushrooms hunters do, but I was looking for them while walking through the forests of Mount Hood. The first time I heard the phrase ‘mushroom hunting’ was when I read, “The Omnivore’s Dilemma.” I liked the way it sounded. I liked how the word ‘hunt’ suggested something intentional and that requires skill. 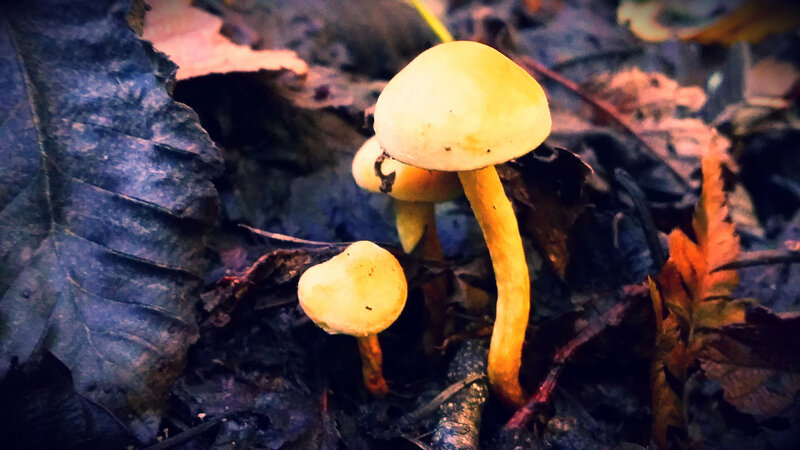 Plus, I love mushrooms, and the idea of hunting for them brings visions of old world, folk wisdom passed down from generation to generation that makes me feel connected to something traditional and timeless. I believe that in order to fully appreciate different localities and geographical places one has to have the right eyes. Having the right eyes requires learning about the place, spending time in it, adapting to it, and delving into it. I am acutely aware of this process because of how often I hear people refer to the desert as ugly; they have not grown the mature vision to appreciate it – they can’t “see” it. The desert is stunning, dynamic, dangerous, and in a constant state of flux, but you have to stick around and get out in it for a while to see all the layers and changes, both subtle and sudden. Time is the essential ingredient. You can’t be a tourist to fully appreciate a place. So visiting Oregon from the desert, I was immediately aware of my shallow vision for appreciating forests. All I could see were trees and when I looked for mushrooms, they eluded me. In fact, on several occasions I was astonished to hear after hiking through the woods with a local firefighter that he had seen many mushrooms. That was why the first time I noticed one on my own I was ecstatic. I’m not sure if any of the mushrooms I came across are edible, but they were beautiful. 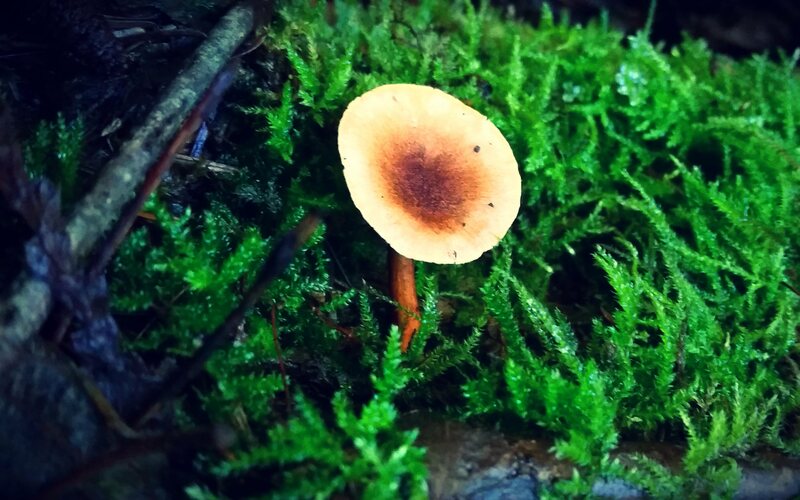 I am certain that if I spent more time in Oregon I would grow forest eyes and see all the depths and layers that exist in them and perhaps grow up to be a fierce mushroom hunter. But until then these desert eyes of mine will have to hunt mushrooms in the desert sky islands of the southwest if and when I can get to them. 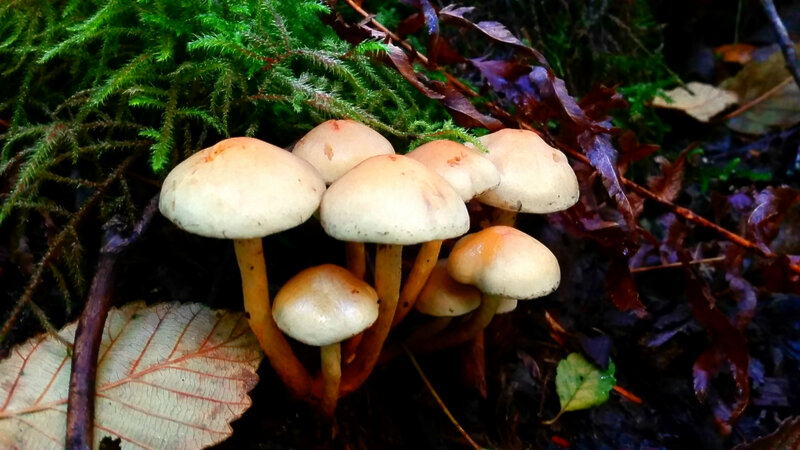 Posted on October 14, 2015, in Uncategorized and tagged connecting to nature, desert mushrooms, desert sky island, edible fungus, hunting, living an authentic life, Michael Pollan, Mount Hood, Mount Hood forests, Mount Hood mushroom hunting, mushroom hunting, mushrooms, nature, Orega y Gasset, seeing as a tourist, The Omnivore's Dilemma, the tourist. Bookmark the permalink. Leave a comment.